According to some public officials in Los Angeles, big changes are needed in order to salvage a massive sidewalk repair plan slated to cost taxpayers multiple millions of dollars. It is being alleged by City Council members Jose Huizar and Paul Krekorian that the program is failing to identify sidewalks most in need of attention and is causing unnecessary work to be done in other areas. With an estimated price tag of nearly $27 million, the council members believe action must be taken to properly direct resources to the parts of town where they will do the greatest amount of good. Designed to facilitate repairs of buckling and broken sidewalks adjacent to parks, government buildings and other municipal facilities, the L.A. Program was approved in February. The focus on city facilities as opposed to more general public areas was the result of a now-resolved lawsuit initiated by disability rights advocates. Critics of the way the program has been implemented thus far point to the fact that there appears to have been little thought to which sidewalks are the most seriously degraded and which need relatively little or no work at all. 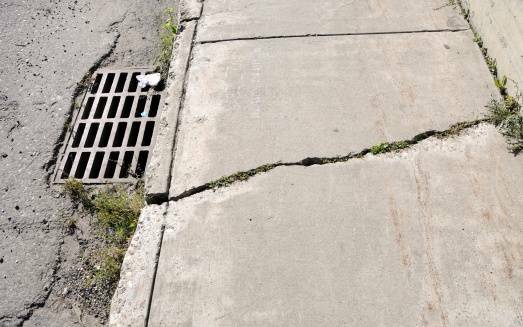 Council members have decried the fact that repairs have been undertaken on city properties with no identifiable damage, including some that have actually been paved in recent months. In response to the concerns raised by the City Council members, L.A.’s Bureau of Engineering have defended their actions, asserting that a raised portion of sidewalk of over a quarter inch renders the walkway out of compliance with the federal Americans with Disabilities Act. A spokesperson from the Bureau has stated that the only areas receiving repairs thus far are those deemed non-compliant with federal law. Concerns over dangerous and impassable sidewalk areas have continued to grow, particularly in neighborhoods shaded by large magnolia and ficus trees, the roots of which have caused serious damage to walkways. The city assumed responsibility for repairing sidewalk harm caused by trees many years ago, but has not been able to keep up with demand. Rather than removing the offending trees and reconstructing sidewalks, repair teams have often used cheap asphalt patching, which has not proved particularly durable. If you are harmed in a sidewalk trip and fall event, it is important to learn all you can about available remedies and who may be held responsible. The owners of private property, facility operators, school districts, municipalities and other units of of government may be liable for a failure to maintain or repair publicly accessible walkways. It is important to note, however, that filing suit against a governmental agency involves specific time and notice requirements which must be carefully followed in order to preserve a claim for damages. If you or a loved one have suffered serious harm resulting from a sidewalk slip and fall, please know that the law does provide avenues for recourse. At Ellis Law, we have dedicated our careers to helping victims identify responsible parties, assemble crucial evidence and build the strongest possible arguments in support of financial recovery. To schedule a no-cost initial consultation to discuss the facts of your case, contact us at 310-641-3335.